A piano is a highly complex marvel of engineering in which over 8,000 parts made of wood, leather, felt and steel work together smoothly. It deserves special care. Learn more about maintaining your instrument. 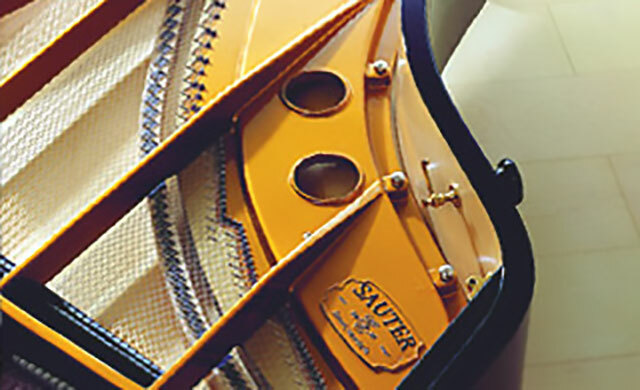 If you are interested in purchasing a SAUTER instrument, you should experience the sound and touch in person. We are happy to help you find the right dealer. Discover which piano suits your needs and learn more about it. You will find a downloadable brochure for each of our uprights and grand pianos here.